Michael Barratt (born 4 March 1948), known as Shakin' Stevens. Platinum-selling British Rock'n'Roll-Rockabilly singer and songwriter. UK's biggest-selling singles artist of the 1980s. His career of recording and performing started in the late 1960s, although it was not until 1980 that his commercial success began. 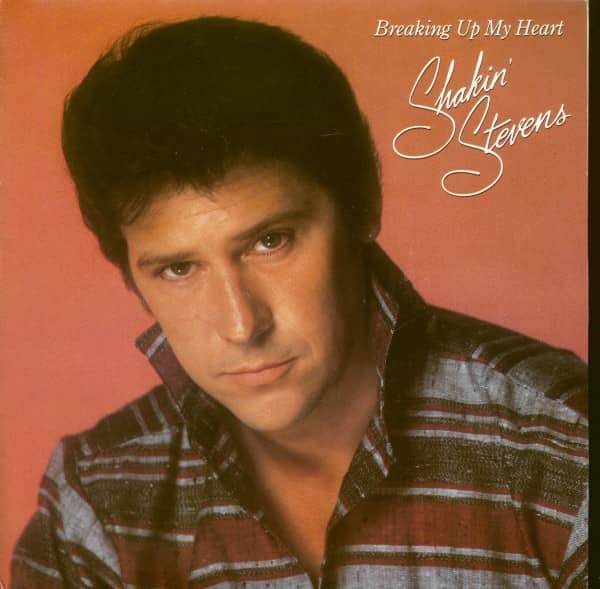 In the UK, Stevens has charted 33 Top 40hit singles including four chart-topping hits 'This Ole House', 'Green Door', 'Oh Julie', and 'Merry Christmas Everyone'; his last Top 40 single was 'Trouble' in 2005 apart from his Christmas song, which has re-entered the UK Top 40 chart each December since 2007. After working as an upholsterer and milkman, Barratt performed on weekends in clubs and pubs with several bands before joining the Penarth-based The Backbeats as their new lead singer, a band that was originally formed in 1958. Spotted by South Wales impresario Paul 'Legs' Barrett - not a relative - Paul Barrett proposed repackaging the band as a 1950s-influenced Rock'n'Roll outfit under a new name. Michael Barratt agreed to choose a stage name, and so borrowing from old school friend Steven Vanderwalker, he chose Shakin' Stevens & The Sunsets. After performing as a support slot for The Rolling Stones in December 1969, they were landing a recording contract with EMI's Parlophone Records the following year and releasing a Dave Edmunds-produced album, they optimistically and prematurely titled 'A Legend', the group found success hard to come by, at least in their native Great Britain, though they had several hit singles in other countries. The band toured the European continent in between UK dates. In 1977, after seven years of constant touring and recording, 'Shaky', as he was also being called by this time, had been spotted by legendary TV producer Jack Good who personally invited him to attend a London audition for his planned new West End 'Elvis!' musical. Three actors were to portray Elvis's life during the show and Shaky landed one of the lead roles, playing Elvis in his prime, charting his army and film star years, with young actor Tim Whitnall covering the earlier formative years and veteran 1960s singer P.J. Proby taking over the part for Elvis's Las Vegas years. The rest of the Sunsets waited in South Wales, doing occasional performances with drummer Robert 'Rockin Louis' Llewellyn taking the frontman duties, but fully expecting Stevens to return to the band and recommence touring after the show's planned short six-month run. However, the expectations were overtaken by subsequent events. The media-wise Jack Good made sure that both the audition process and the early months of the show were widely and regularly covered by the British daily press and TV shows. During the 'Elvis!' show's highly successful and twice-extended two-year run Shaky made regular TV appearances, at first on Good's revived British ITV show 'Oh Boy!' and later on the follow-up 30-week-long series 'Let's Rock' that was syndicated in 32 countries, including the U.S.. This led almost inevitably to his first major chart success with a cleverly re-worked version of the Buck Owens song 'Hot Dog', which Owens would re-record using the arrangement created by pedal steel guitar player B.J. Cole. In late 1979, Stevens signed what was to be his most successful management deal with Freya Miller, who immediately advised Stevens to sever his association with the Sunsets and continue developing a more lucrative solo career. In 1981, Stevens scored his first UK chart-topping number 1 with 'This Ole House', followed by 10 more songs reaching the top five, including three number 1 hits with 'Green Door', 'Oh Julie' and 'Merry Christmas Everyone' , while 'You Drive Me Crazy' and 'A Love Worth Waiting For' reached number 2 in 1981 and 1984 respectively. His 1984 hit 'Teardrops', which reached No. 5 in the UK, featured legendary Shadows' lead guitarist Hank B. Marvin on guitar, and since then, Stevens has often featured famous musicians such as Albert Lee, Roger Taylor, Bonnie Tyler and more recently Tony Joe White on his recordings. Chart successes also included his album 'Shaky' reaching number 1 on the UK album chart. In the mid-1980s, Stevens re-united with former producer Dave Edmunds to record the album 'Lipstick, Powder and Paint', and the Christmas smash 'Merry Christmas Everyone', which was a number 1 hit in 1985. 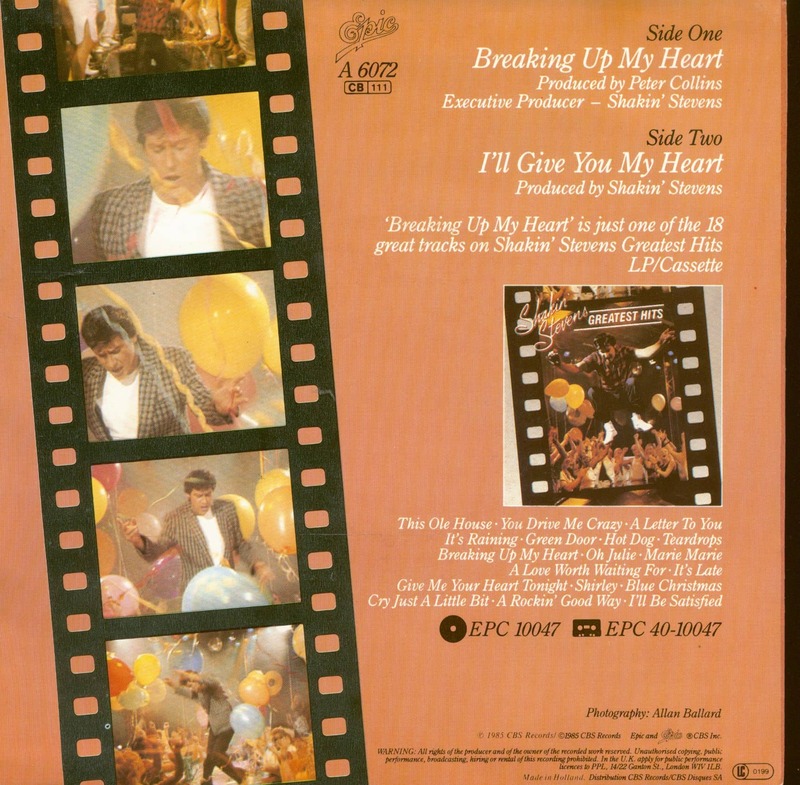 The hits continued but chart placings declined throughout the late 1980s and early 1990s. It was in the 1990s that Stevens took a lengthy break from recording and was stung by a court ruling that related to unpaid royalties from 'The Legend' album, which had been re-released to some commercial success, requiring a substantial payout to former band members of the Sunsets. In 1999, Stevens returned to performing live and undertook tours all that year and the following year. In 2004, Shaky had another platinum CD-DVD album in Denmark and a goldalbum in South Africa. He returned once again to the charts in the UK in 2005 with his greatest hits album. 'The Collection', which reached the UK top 5. That year, he also appeared in a video with Tony Christie and Peter Kay, 'Is This The Way To Amarillo', alongside many other UK stars. Stevens was the winner on the reality television show, 'Hit Me Baby One More Time'. This was quickly followed by a re-release of his cover and his own biggest hit sung in the show, 'Trouble' (covering Pink's version) / 'This Ole House', which reached No. 20 on the UK Singles Chart in June 2005. 2006 to 2010 saw Shaky touring extensively all over Europe and the eastern countries. In July 2010, Stevens was rushed to hospital after collapsing at his home in Windsor, reportedly from exhaustion brought on by the stress of working on a new album. It was later revealed that Stevens had suffered a heart attack, which caused him to be hospitalised for two months, after strenuous work gardening at his home. Stevens fully recovered and, in 2011, he embarked on the early part of his 30th Anniversary Tour, followed by a further 26 dates in the year, backed by a 10-piece band. Stevens appeared live on Radio X on 17 December 2015, on The Chris Moyles Show to promote his new Christmas Single 'Echoes Of A Merry Christmas' supporting the Salvation Army UK. On 16 September 2016 Stevens released his 12th studio album, 'Echoes Of Our Times'. The album was recorded at Berry Hill Studios, produced by Stevens and John David, who also engineered. He then, in 2017, proceeded on a 33 date tour of the UK entitled: The Echoes of Our Time tour. Customer evaluation for "Breaking Up My Heart - I'll Give You My Heart (PS, BC, 45rpm)"